Magneti Marelli is an international Group committed to the design and production of hi-tech systems and components for the automotive sector. With more than 40.500 employees, 89 production units, 12 R&D Centres and 30 Application Centres, the Group has a presence in 19 countries and supplies all the most important car makers in Europe, North and South America and Asia. 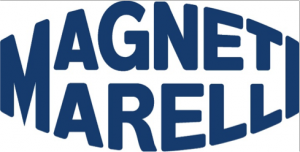 Magneti Marelli (MM) will operate both on the hardware/platform side (WP2) and on the application side (WP1), providing requirement analysis, software and hardware development and integration for the automotive domain.